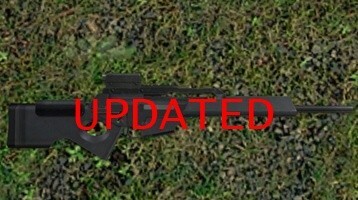 This is an SL8 Combat Rifle. It is fully automatic. This is version 1.1 of my first SWEP. INSTRUCTIONS: MAKE SURE YOU DELETE THE OLD ONE IF YOU HAVE IT, THEN, extract to your addons folder. 1. 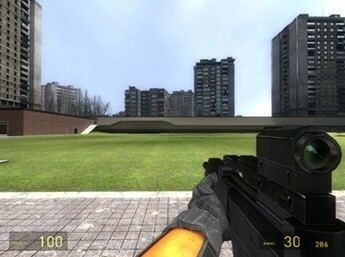 Fixed the reload sound; in 1.0, it just played the reload sound from the HL2 SMG. Now it plays the actual reload sound from the SL8 in Synergy. 1. Tracers aren't so frequent anymore. 2. The force of the bullets isn't so strong anymore. The old way was unrealistic. 3. 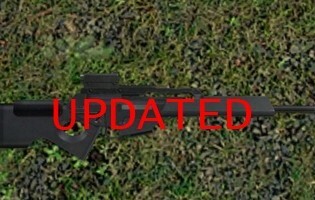 The weapon has a more realistic bullet spread now. The model and sounds are from Synergy. I just put the lua file together. EDIT: It seems they've removed this weapon from Synergy. 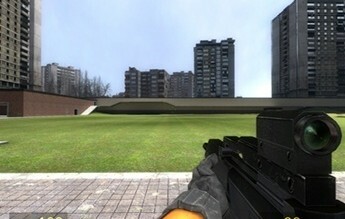 Oh well, atleast we still have it in Gmod!